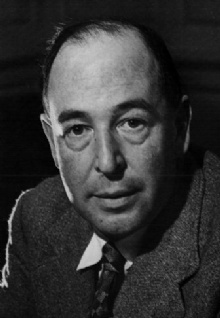 C. S. Lewis was a famous Author from United Kingdom, who lived between November 29, 1898 and November 22, 1963. He became 64 years old. Clive Staples Lewis, better known as C.S. Lewis, was a British writer and literary theorist. He is known for his Christian essays and several works of fiction, especially The Chronicles of Narnia (The Chronicles of Narnia). He is born under the zodiac sagittarius, who is known for Philosophical, Motion, Experimentation, Optimism. Our collection contains 52 quotes who is written / told by S. Lewis, under the main topics: Love, Age, Friendship, Religion, Time. "How incessant and great are the ills with which a prolonged old age is replete"
"Affection is responsible for nine-tenths of whatever solid and durable happiness there is in our lives"
"A young man who wishes to remain a sound atheist cannot be too careful of his reading"
"A man who is eating or lying with his wife or preparing to go to sleep in humility, thankfulness and temperance, is, by Christian standards, in an infinitely higher state than one who is listening to Bach or reading Plato in a state of pride"
"A man can no more diminish God's glory by refusing to worship Him than a lunatic can put out the sun by scribbling the word, 'darkness' on the walls of his cell"
"Has this world been so kind to you that you should leave with regret? There are better things ahead than any we leave behind"
"God cannot give us a happiness and peace apart from Himself, because it is not there. There is no such thing"
"Friendship is unnecessary, like philosophy, like art... It has no survival value; rather it is one of those things that give value to survival"
"Experience: that most brutal of teachers. But you learn, my God do you learn"
"Even in literature and art, no man who bothers about originality will ever be original: whereas if you simply try to tell the truth (without caring twopence how often it has been told before) you will, nine times out of ten, become original without ever having noticed it"
"Eros will have naked bodies; Friendship naked personalities"
"Education without values, as useful as it is, seems rather to make man a more clever devil"
"Don't use words too big for the subject. Don't say "infinitely" when you mean "very"; otherwise you'll have no word left when you want to talk about something really infinite"
"Courage is not simply one of the virtues, but the form of every virtue at the testing point"
"Can a mortal ask questions which God finds unanswerable? Quite easily, I should think. All nonsense questions are unanswerable"
"An explanation of cause is not a justification by reason"
"Aim at heaven and you will get earth thrown in. Aim at earth and you get neither"
"We all want progress, but if you're on the wrong road, progress means doing an about-turn and walking back to the right road; in that case, the man who turns back soonest is the most progressive"
"Part of every misery is, so to speak, the misery's shadow or reflection: the fact that you don't merely suffer but have to keep on thinking about the fact that you suffer. I not only live each endless day in grief, but live each day thinking about living each day in grief"
"Of all tyrannies a tyranny sincerely exercised for the good of its victims may be the most oppressive"
"Nothing that you have not given away will ever be really yours"
"What we call Man's power over Nature turns out to be a power exercised by some men over other men with Nature as its instrument"
"Miracles do not, in fact, break the laws of nature"
"Long before history began we men have got together apart from the women and done things. We had time"
"With the possible exception of the equator, everything begins somewhere"
"Some people feel guilty about their anxieties and regard them as a defect of faith but they are afflictions, not sins. Like all afflictions, they are, if we can so take them, our share in the passion of Christ"
"Reason is the natural order of truth; but imagination is the organ of meaning"
"This is one of the miracles of love: It gives a power of seeing through its own enchantments and yet not being disenchanted"
"Thirty was so strange for me. I've really had to come to terms with the fact that I am now a walking and talking adult"
"There is, hidden or flaunted, a sword between the sexes till an entire marriage reconciles them"
"There are two kinds of people: those who say to God, "Thy will be done," and those to whom God says, "All right, then, have it your way."" "The task of the modern educator is not to cut down jungles, but to irrigate deserts"
"The safest road to hell is the gradual one - the gentle slope, soft underfoot, without sudden turnings, without milestones, without signposts"
"The real problem is not why some pious, humble, believing people suffer, but why some do not"
"The long, dull, monotonous years of middle-aged prosperity or middle-aged adversity are excellent campaigning weather for the devil"
"The future is something which everyone reaches at the rate of 60 minutes an hour, whatever he does, whoever he is"
"Telling us to obey instinct is like telling us to obey 'people.' People say different things: so do instincts. Our instincts are at war... Each instinct, if you listen to it, will claim to be gratified at the expense of the rest"
"Let's pray that the human race never escapes from Earth to spread its iniquity elsewhere"
"It's so much easier to pray for a bore than to go and see one"
"It may be hard for an egg to turn into a bird: it would be a jolly sight harder for it to learn to fly while remaining an egg. We are like eggs at present. And you cannot go on indefinitely being just an ordinary, decent egg. We must be hatched or go bad"
"If you read history you will find that the Christians who did most for the present world were precisely those who thought most of the next. It is since Christians have largely ceased to think of the other world that they have become so ineffective in this"
"If you look for truth, you may find comfort in the end; if you look for comfort you will not get either comfort or truth only soft soap and wishful thinking to begin, and in the end, despair"
"If we cut up beasts simply because they cannot prevent us and because we are backing our own side in the struggle for existence, it is only logical to cut up imbeciles, criminals, enemies, or capitalists for the same reasons"
"If the whole universe has no meaning, we should never have found out that it has no meaning: just as, if there were no light in the universe and therefore no creatures with eyes, we should never know it was dark. Dark would be without meaning"
"I sometimes wonder whether all pleasures are not substitutes for joy"
"I gave in, and admitted that God was God"
"I believe in Christianity as I believe that the sun has risen: not only because I see it, but because by it I see everything else"
"Humans are amphibians - half spirit and half animal. As spirits they belong to the eternal world, but as animals they inhabit time"